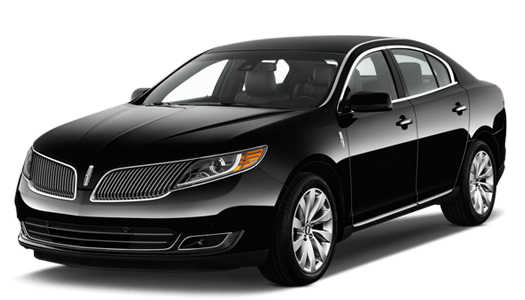 DC Limo Service has been providing Luxury Transportation service with competitive prices since 1986, We are not a technology company, we are a fully licensed and Insured Washington DC Limo Service In the Washington DC Metropolitan area. Our Chauffeurs are knowledgeable and are kept up to date with entertainment and business venues throughout the Washington, DC metropolitan area. We offer customized packages to meet our clients needs to include multi-lingual chauffeurs. Our vehicles are smoke free and immaculately kept. Our client’s safety and satisfaction are our number one priority. We are a family owned and operated business serving the Washington D.C, Virginia and Maryland areas. Click Here to read some of our services and recent clients reviews. Whether you require a sedan, a stretched limousine or any other luxury vehicle in the Washington D.C, Maryland or Virginia areas, we will pick you up and take you to your destination in style. We offer quick and easy pickup and smooth ride through the entirety of your trip. Just sit back and let a professional black car service do the rest. Most affordable DC limo rides for hire in the metropolitan area. Reserve a vehicle with our simple booking process. Tested, proven in the field, with immaculate records – we choose only the best for the task. Book a black car with DC Limo’s mobile app no matter where you are, with just a couple of taps. We are never late so that you won’t be either. Our car service will always be there when you need it. Secure online payments, secure vehicles – we protect our clients in every way imaginable. Not from around here? Chances are we have a driver on deck who knows your language. We care about your health, which is why instated the no-smoking policy in our cars. Service calls/appointments shall be made no less than two (2) hours preceding the intended pick up time. DC Limo/ Attaché Executive LLC shall not guarantee prompt pick up for the calls made less than two hours, intended pick up time Such call will be honored based upon availability of vehicles upon assessing the distance between availability vehicles and pick up point. Deposits made to DC Limo and Car Service/ Attache Executive LLC are non-refundable. Cancellations for Sedan within 4 hours, Limousines, Luxury Vans and Minibuses 7 days of charter will be billed at 100%. The client is responsible to notify us of all airline changes, delays, cancellations & missed flights. Delayed flights are billed after flight arrival. Please observe our non-smoking policy. General Billing: All services are billed to your credit card or to a company account (provided If you have previously applied and been approved for billing terms with us). Washington DC Limo Service/ Attaché Executive LLC accepts Visa, Master Card, Discover and American Express credit cards. Service Fee A 20% service fee is added to all services. You are not obligated to tip our drivers. The 20% service fee includes driver gratuity, additional Charges will be added to your invoice, including parking, Tolls, airport or other special fees. Charges incurred on your behalf or as a direct result of your limousine service will also be added to your invoice, including applicable toll charges, fuel surcharges if mentioned, and parking fees. Please note that DC Limo provides Sedans SUVS and Vans through Attache Executive LLC DBA DC Limo and Car Service WMATC#2233 US DOT# 2541398 MC#884263 DCTC# 25460518 VA DMV: 1350 and Attache Executive Sedan VA Motor Carrier #285 Limos and buses through United or DC Luxury and Limo/Party buses through Skyhawk, we also have affiliates nationwide and worldwide to provide services for our clients in other states and overseas, we have one office In DC: 1627 K ST NW Suite 400-16, Washington, DC 20006, United States and one In Occoquan VA 1346 Old Bridge RD Suite 201, Woodbridge, VA 22192 Tel:(571)409-6510 as our small fleet lot. Limos and buses are garaged In Sterling, VA.
Limousine trips of unusual duration may require additional fees, such as meals and accommodations for the drivers of Washington DC Limo Service. Our rates are subject to change without notice. The rate in effect at the time your service was scheduled shall apply. As is customary in the Transportation service industry, fees are calculated on an hourly rate basis and or mileage. Time is calculated from the time when the vehicle leaves the pick up place until the time it returns, and there is a Three (3) hour minimum charge For SUVs and Luxury Vans . Note that Waiting time Is charged in thirty (30) minute increments; fractions are rounded to the next thirty (30) minutes. No Shows: It is important to avail yourself of the ability to check pricing and confirm your plans prior to booking with us. Cancellation fees apply according to the following schedule: If you cancel your reservation at least 6 hours for Sedans, 6 hrs for SUVs and 7 days for buses, Vans & Limousines in advance of your scheduled pick-up date and time. Cancellations made less than 6 hours for sedans, 6 hrs for SUVs, early morning pick ups before 10:00 Pm the night before the service, 7 days for buses, vans, limousines and all hourly and daily requests for delegations or multiple Vehicle or out of town events or trips prior to the scheduled pick-up time will result in a cancellation fee of the full base fare plus the 20% service fee of the trip. Cancellations made less than 6 hours prior to the scheduled pick-up time will result in a cancellation fee of the full base fare of the trip. Cancellations made at pick-up time, as well as “no shows” (you are not available or no longer want the trip when the driver calls for you) will result in a cancellation fee of the full base fare of the trip, plus the 20% service fee, plus any applicable wait fees and expenses (including fuel, tolls, etc.) as described elsewhere in our terms and conditions. Cancellation of greeters with less than four (4) hours notice will be charged at the full hourly greeter rate. If you are running late (except as provided above under “Punctuality; Driver Wait Times”) or you cannot locate your driver, please call 866-379-1977 or 202-944-0077 to avoid a “no show” fee. Refunds: Please read our cancellation policy. Services rendered on an hourly basis (such as for special events, parties, etc.) will be billed at then-current hourly rates. Customers will be billed from the time requested, until the time of the drop off, with a minimum charge of two (2) hours for Sedans and 4 hrs for all other vehicles Hourly services are tabulated and billed in one hour increments. Services provided city to city are billed on the basis of a round trip, at our hourly rate, even if the customer and/or passengers require only one-way service. Wait times required during city to city services are billed at the same hourly rate as actual travel time.